I ordered the round pillow. The graphic was absolutely gorgeous; true to screen. The colors were lovely. The problem: the roundness of the pillow was of poor quality. I don't know if the seams were sewn badly but i also noticed the inside pillow did not properly fill the outside cover. I have returned and plan on getting a square or rectangular size. Update: i got the square and am very pleased with it. Quality is satisfactory and the graphic with gray and lavendar is relaxing and just what i was lookin for. 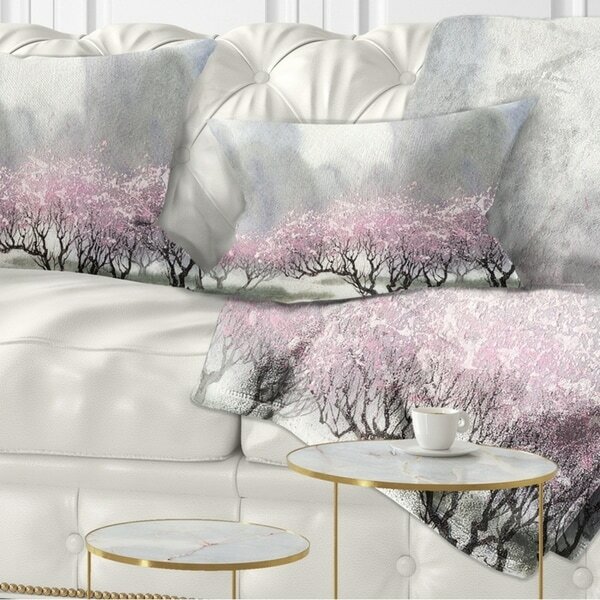 An easy, fun way to add a pop of color or bring new life to any room in your home or office is with these beautiful Landscape throw pillows. Dress up your bed, sofa or lounger with this decorative design art pillows. Perfect as bedroom décor, lounge décor Traditional living room décor. It adds a fun accent to any room. Throw pillows really do work wonders: they can transform any room from uninviting discomfort to warm and welcoming. And they really do go almost anywhere - arrange a couple on the couch or sofa, place one in your overstuffed chair for extra coziness, toss a couple on the bed and prop yourself up for a great read.